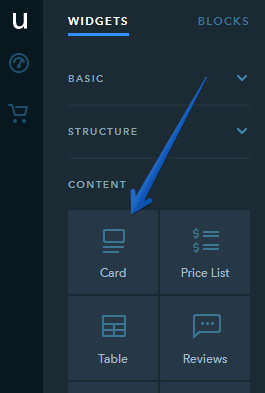 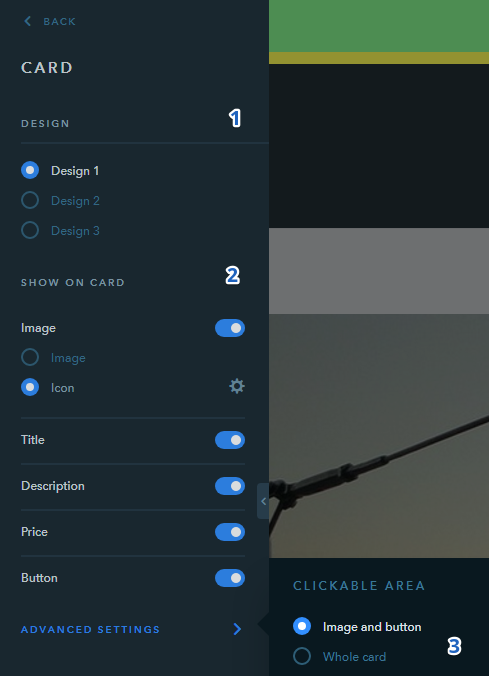 In the Builder, find the Card widget under Content and drag it to the website. 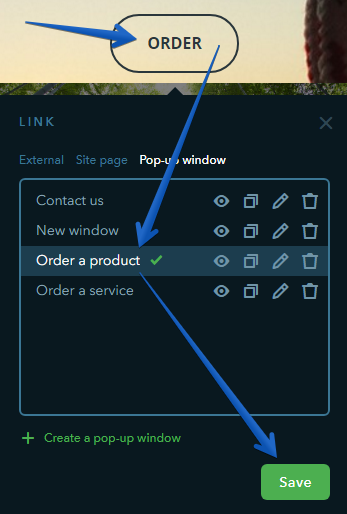 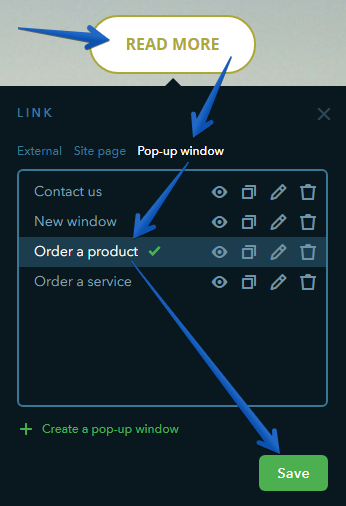 A product name will be passed to a pop-up window and sent together with an order form, so you will be able to use one form for all your products and track what card the order was sent from. 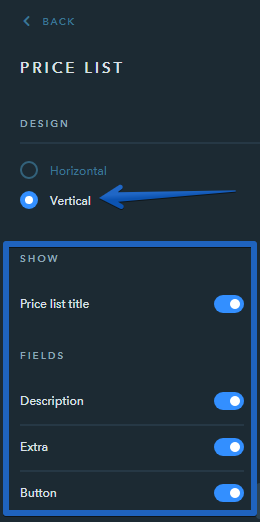 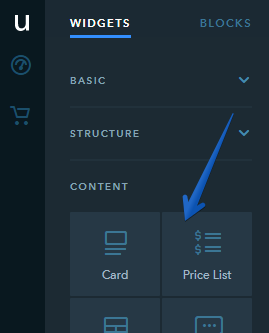 In the Builder, find the Price List widget under Content and drag it to the website.